Swiss banking system is known for its high degree of reliability, protection from shocks, professionalism of employees and wise risk management. Today Swiss banks are just place for saving money. They also provide wide range of services for wealthy individual clients. However, there are many myths around this Alpine country. We will confirm or break some of them in our article. As we saw in our previous article “Swiss Banks - More than simply a Money Bin”, Swiss banking system is known for its high degree of reliability, protection from shocks, professionalism of employees and wise risk management. Today Swiss banks are just place for saving money. They also provide wide range of services for wealthy individual clients. However, there are many myths around this Alpine country. We will confirm or break some of them in our article. This myth is 100% TRUE. During the past 100 years, only two cases of bank closures from bankruptcy happend in Switzerland: the collapse of the Spar- und Leihkasse Thun (SLT), a small regional savings bank in 1991, which was caused by bad management and led to the introduction of additional safety measures in Switzerland's banking laws. And recently, in October 2015, the forced closure of Bank Hottinger in Zurich, a very small private bank, which was ordered by the Swiss FINMA because of unsolved legal problems with the US tax authorities. During this time, the rest of Europe was devastated by two world wars. Germany once defaulted (1948) and once destroyed all savings through hyper-inflation (1923), the Austro-Hungarian empire collapsed and also twice destoyed all assets in cash, bank accounts and bonds (1924 and 1947), France was forced to exercise a currency reform (1960, "Nouveau Franc") to handle the effects of a two-decade long high inflation. However, those who were clever or lucky enough to have their assets in Switzerland, could steer without financial harm through those stormy times. The Swiss Franc (CHF) is probably the most stable currency in the world now, comparable only to physical gold. A remarkable detail of this long-lasting stabilty is the fact that the 10 Rappen coin (10 Rappen = 0,1 Franc) is minted with the same design and from the same metal alloy (copper-nickel) unchanged since 1879. The 10 Rappen coins from 1879 are still valid cash today. However, should you find one in your wallet, keep it; the collector's value is about 300 times its face value! First, all assets, which are held in so-called "custodian accounts", are protected against any bank default as a matter of principle. Such assets are typcially shares, souvereign or corporate bonds, fund units and other kinds of securities, which the bank, or an independant investment manager, manages on behalf of the client under an asset management contract. Because by law, such assets are regarded as "segregated assets" and would not be touched by any insolvency procedure. In case of cash accounts or bonds issued by the bank itself (medium-term notes, "Kassenobligationen"), the situation is slightly different. 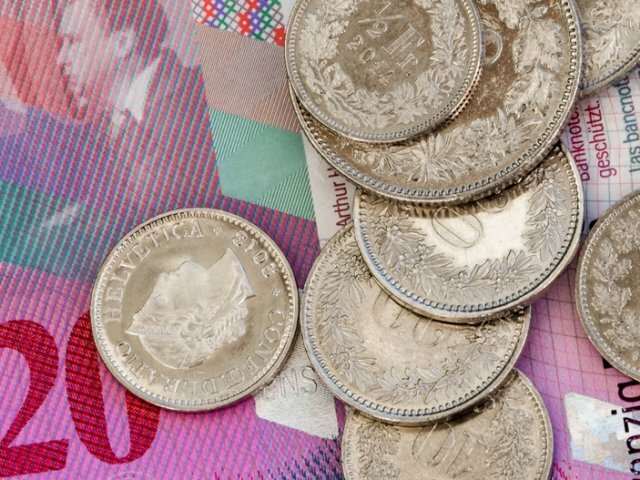 In this case, the Swiss deposit insurance fund ("Esisuisse") guarantees the cash assets up to an amount of 100.000,- Swiss Franc per client. By law, the money must be paid out to the client within 20 days. However, this law is primarily a help for ordinary clients or small businesses. A wealthy client might easily have considerably more than 100.000,- CHF on his/her cash account, and in this case should have a deeper look on the bank's credit rating and long-term reputation. 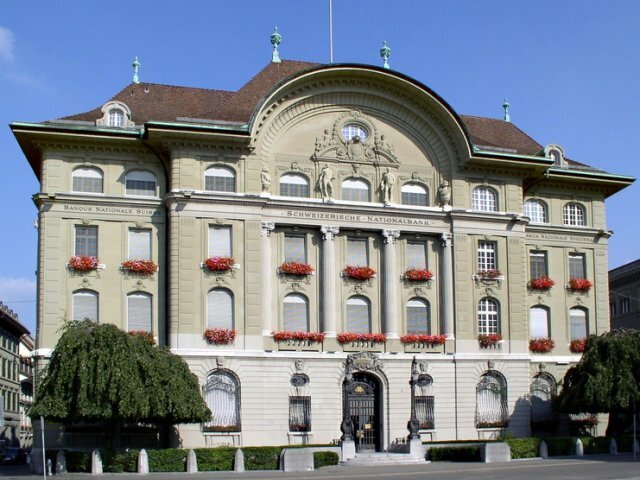 For those, who like it "rock-solid" and want virtually unlimited protection for any amount of money: Consider one of the large Swiss cantonal banks, like Zürcher Kantonalbank, St.Galler Kantonalbank or Graubündner Kantonalbank as your banking partner, or the Liechtensteinische Landesbank in Liechtenstein. Because these banks are protected by an unlimited state guarantee for any liabilities of the bank, making them really one of the most secure financial institutions in the world. This is reflected by the three highest possible credit ratings ("AAA" to "Aa2"), which are awarded by the rating agencies Moody's and Standard & Poors to the above mentioned banks. Just for comparison: Russia's largest bank, the Sberbank, has an international credit rating of "Ba1", which is eight levels lower. But also here, there is a little fly in the ointment: The cantonal banks are very conservative banks (this is why they are so secure), and focused mainly on business with Swiss residents and with Swiss companies only. In this case, it might be helpful to seek the advice and support of a Swiss financial consulting firm, which has estabilshed business relationships with these banks and can act as an introducing partner. This myth is 100% FALSE. In fact, some Swiss banks still offer so-called "numbered bank accounts" ("Nummernbeziehung"), where the official name of the account holder is not the name of the beneficiary, but an anonymous sequence of numbers or a codeword. The real identity of the beneficiary is known only to a small group of persons from the inner bank management. But in reality, today these numbered bank accounts are of little value for the foreign investor. Numbered bank accounts were introduced in Switzerland in 1934, as a preventive measure to protect assets of Jewish clients or political opponents againt the spying activities from Nazi Germany. Today, they are simply kept as a relict of nostalgia by some banks. Because under the new rules of automatic information exchange (AIE/OECD-CRS), all informations about bank accounts of non-resident foreigners must be reported to the tax authorities of the client's home country. This procedure became effective in 2018 and make Swiss and Liechtenstein bank accounts, owned by foreigners, easily visible to the foreign tax office. The only legal way to retain privacy under the new AIE rules is to encapsulate the assets of the investor in some specially designed holding structure, see our recent essay on this. In any case, a client must identify himself/herself personally to the bank when opening a bank account, and must give information about is personal tax number and place of residence. This myth was 50% TRUE, but now is 100% FALSE. To be honest, some Swiss banks, especially the smaller private banks more than once behaved very broad-minded, when clients came with large amounts of cash during the "old times". There were not a lot of questions on where and how this money was earned, or whether it was taxed at all, as long as the client could identify himself by a valid passport and was not listed on some international "Most Wanted" list. In the 1960ties and 70ties, it was not uncommon to walk into a Zurich or Geneva bank office with a suitcase full of banknotes and deposit them to your account - no questions asked. But these times are far gone away. International political pressure, but also the emergence of large scandals, like the cases of late dictators Ferdinand Marcos (Philipines) or Mobutu Sese Seko (Zaire) led to the introduction of anti-money-laundering laws in Switzerland in 1990. Today, the anti-money-laundering laws ("Geldwäschereigesetz") of Switzerland and Liechtenstein are one of the strictest in the world. Clients, who want transfer funds to a Swiss bank, must prove in detail that these funds are earned and owned rightfully, and that the income has been taxed correctly in accordance with the tax code of the client's country of residence. For clients, who hold an appointment to a public office ("Politically Exposed Person"; PEP), additional checks are required, in order to prevent that bribery money or misappropriated public funds might be funneled into Switzerland. This myth is 100% TRUE. 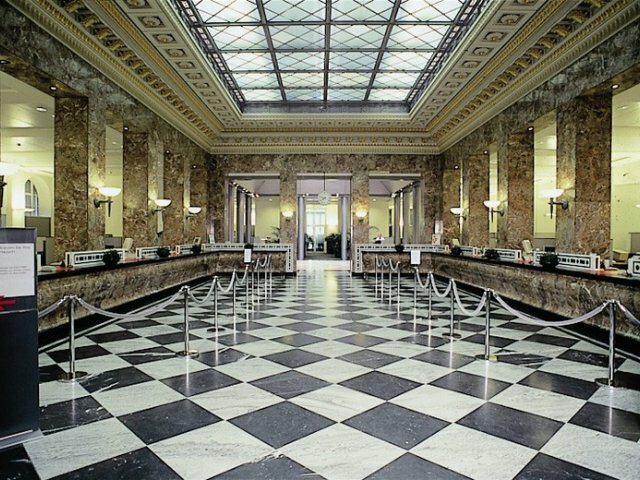 In fact, safe-deposit box services are a standard feature of every Swiss or Liechtenstein bank, and some banks even offer special underground vault services for storage of physical gold, which look similar to the legendary Fort Knox. For instance, we recently visited the small private bank Bank von Roll in Zurich, which caters for very wealthy individual clients. In the neighbouring building, and connected to the bank by an underground hallway, the Degussa AG precious metals trading company operates one of the largest and most sophisticated safe warehouses for gold and other precious metals. Clients can buy there physical gold via bank transfer, and have it immediately transferred to their own safe-deposit box, without any risk of transport or other personal efforts. But not only private investors hoard gold bullion in Switzerland. The Zürcher Kantonalbank very succesfully operates an exchange-traded fund (ETF) since 2010, which is 100% backed by physical gold. This fund, called "ZKB Gold ETF", now has approx. 100 tons of gold stored in Swiss cellars. And this is not counting the gold reserves of the Swiss National Bank (SNB), which amounted to 1.040 metric tons in 2016, the seventh-largest in the world. This myth is 100% FALSE. It is not neccessary to allocate tens or even hundreds of millions of Euro or Dollar, if you want to open an account with a Swiss or Liechtenstein bank. However, the client should come with at least 500.000 Euros (or equivalent), if he/she is looking for private banking services. For more complicated set-ups, like establishment of a Stiftung or a multi-national holding structure, the investment sum should be at least 2 - 3 Mio. Euros. The reason for this is very simple. First, the compliance and reporting requirements, which Swiss banks must fullfil nowadays for foreign clients, generate a lot of workload and costs for the bank, which make only sense if the client brings at least a certain amount of funds. Second, Swiss banks are not interested in a pure cash deposit account. Switzerland gets more foreign cash than it really wants, and to stem this inflow, the SNB even introduced a punitive negative interest rate of -0,75% on large cash deposits two years ago. What's interesting for a Swiss or Liechtenstein bank is to have a custodian account for active asset management. In this account, the major share of funds should be allocated, and from this account the bank earns, either directly or indirectly, management fees. But also these fees have a certain fixed minimum amount, and if the invested funds are too small, the fees would eat up most of the earned profits. In this case, neither the bank nor the client would be really happy. Both by proven history and by current laws, Switzerland and neighbouring Liechtenstein can be regarded as one of the safest jurisdictions for banking all over the world. If your intention is simply to hide some money from local authorities or anybody else, then Switzerland is surely not the right place to do this. But if you want to preserve your wealth on long-term and have it growing in a conservative, low-risk manner, then Switzerland should be your number one choice. If you need more information on this subject or have any questions, feel free to click “Ask the experts” button below.